As I sat dwelling upon the past month of discoveries and revelations ushered in by a most loving Heavenly Father, I am humbled joyful and amazed. I learned how much He cares about me, how every step I take and hope to make He has already thought about and offers to lead me the best way, even showing me during this fast where my body was in need nutritionally through dreams in the night. Remarkable. 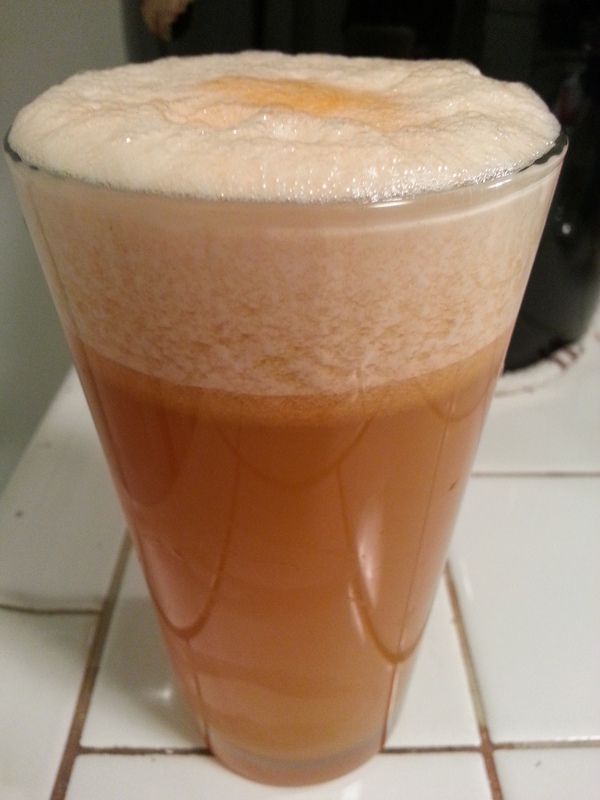 This juicing journey was a deliberate fast undertaken to break bonds that tied me to a comfortability in habits and routines that serve nothing but gluttony and self-consciousness. Thus, it was not always easy, but the release from them and unto greater liberty is incomparable to the discomfort–not even worth a categorical mention. The simplest profundity in all of this is truly embracing OH, HOW LITTLE I TRULY NEED … AND THAT IN WALKING WITH HIM, I AM FULLY SATISFIED… in every way. After a predawn quiet-time, I shared my first meal with the One who led me through the past month. Grateful, confidant, hopeful, more fearless than I have been in after many years of great trials and illness, I sat pondering about His goodness, might, mercy, and promises and we broke bread. 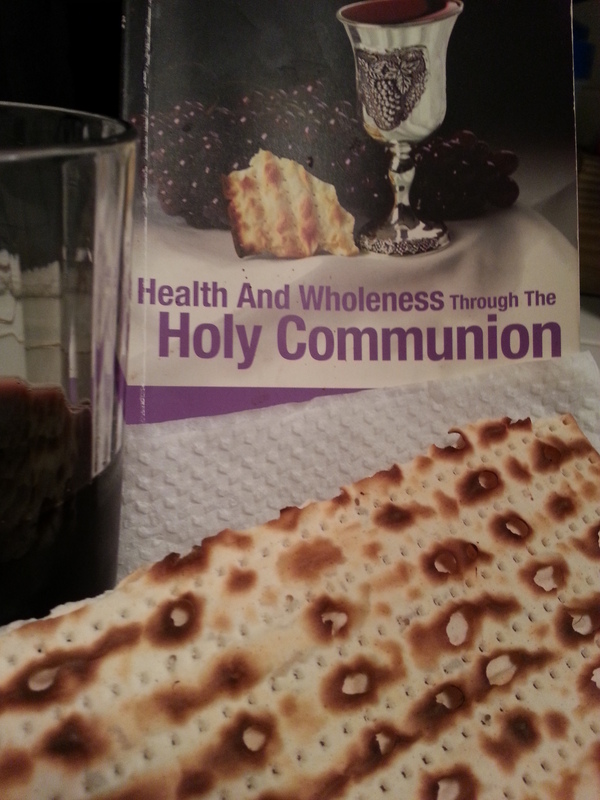 The, scored, toasted/burnt, unleavened kind–matzo symbolic of Jesus’ stripes with berry juice in lieu of wine. This is the greatest blessing of all… the promise of peace offered, the wholeness left up to me to accept. This communion alone with Him was different–more special somehow in that it was the first food I had in a while that was sheerly for spiritual nourishment and in being able to really hone in on what this “bread” symbolized, it was a really a beautiful partaking. A meal most uncommon as mentioned above. I cherished honoring Christ’s finished work as the “substance” lamb who is the passover-everlasting. As is my right as a child of G-d, I received wholeheartedly the infusion of the incorruptible life of Yeshua in me! As I pondered how the blood in the heart of my Jesus drained out, I understood how he literally poured out his heart, his thoughts, his very soul into mine so that through his love, I can be and am as he is now–in glorious victory and triumph over all oppressiveness. I am free…free…free indeed! AM I; IS MY FAITH EXTREME? YES… AND I AM EXTREMELY BLESSED! In brief, my physical body feels stronger– I am lighter upon my feet, feeling more energetic, thinking more clearly…I even had the lightest p.m.s. and menstrual cycle in years with no pain or cramping. Yes, I have lost a couple pounds, so not much at all really. One might expect more, but all the essential fatty acids I took in kept my body in a healthy balance. Plus, weight loss was NOT the point, nor objective–I had faith that what my body needed to reboot and heal would be facilitated during the process. Just the bodily changes listed above testifies to that, but the emotional and mental clarity, soundness, and buoyant optimism outweighs the measurable, physical benefits… Even my marriage has gone through a surprising distillation process, a purging of sorts…we feel relationally renewed and free to love unhindered and wiser in our togetherness. Then, of course, is the spiritual growth. How do I even begin? Hearing my Father’s whispers and seeing what He needs me to know…prayers for loved ones answered, shackles broken off of my beloved friends and family evidenced by breakthrough jobs, financial assistance, and priceless hope… how do I even begin to count the ways and the blessings that have invaded my world? I cannot … so I urge you to find the journey you are to take into a deeper oneness with the One who created all and is my all in all. As I try to remember this, I share something I have just realized myself… that God and His supernaturalness does not necessitate any dramatic fashions, but is most often purely simple and so truly sweet. With ALL MY HEART AND SOUL… May GOD bless YOU!!!! Restocked, washed, dried, and juiced some produce for the next couple of days. Lots of melons this week for many night caps …and just got a 10 pound bag of organic carrots at Costco for only 5 dollars. That is the steal of the season, for sure!!! I admitted to my husby that this juice fast is easier than I expected… and right after I got hit with a compulsion to reach for the pineapples I cut up and the raw granola he is chomping on next to me and chow down. Ah… the challenge.